Combi Boiler Dublin - Combination Boilers - What Is A Combi Boiler? Combi boiler or combination boiler is both a high efficiency water heater and a central heating boiler in a single compact unit. Combi boilers, hot water directly from the mains when you turn on a tap, so you won’t need a hot water storage cylinder or a cold water storage tank in the attic. They are also very cost-effective and energy-efficient as water is heated instantly rather than being heated and then stored in a cylinder. An added benefit is that hot water is delivered at mains pressure, which means that you could get a powerful shower without the need for a separate pump. 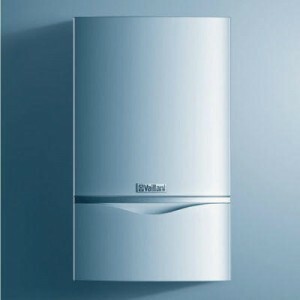 The compact size makes this boiler perfect for apartments and smaller houses. The Combi boiler is quickly becoming our most popular boiler because of its convenience. You won’t have to wait for the cylinder to refill. Unlimited, constant hot water supply. All the tap water is potable and suitable for drinking as it comes directly from the mains supply. If the water is heated up to 36 degrees this boiler can provide between 17-18 liters of water per minute. EMG Heating and Plumbing provide installation, service and repair of gas boilers, central heating systems, solar hot water solutions, and general household plumbing. We operate in Dublin and its surrounding areas.